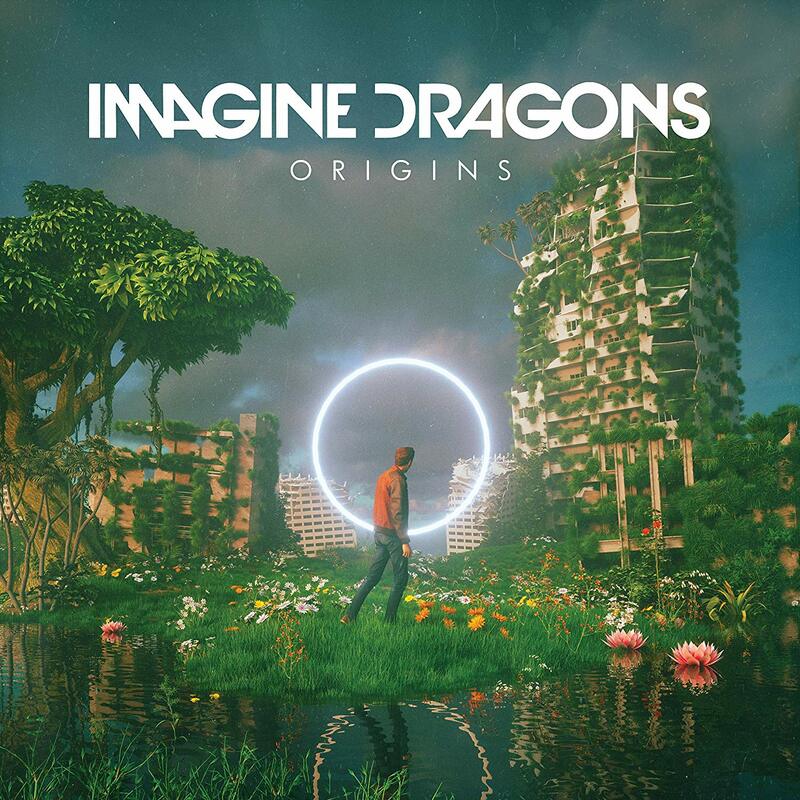 Album Review: Imagine Dragons - Origins - GENRE IS DEAD! Barely a year after the release of their album Evolve, Imagine Dragons are back with the new record Origins. Recording an album with 15 songs in that short amount of time brings some risks. As we heard on the former albums, it seems like the only rule of the Las Vegas-based band is: there are no rules. They are mixing genres and experimenting with different styles and the result is the unique sound of Imagine Dragons – the band that everybody recognizes on the radio. Origins starts off with a big bang. “Natural”, which was also the lead single of the record, is full of energy and Dan Reynolds voice never sounded so strong. It is one of the most memorable songs of Origins. As the record starts off with such a good song, my expectations for the rest of the album were pretty high. The second song “Boomerang” is a little steadier, but catchy. Since the song only has a few lines, you’re ready to sing along after listening to it one or maybe two times. “Cool Out” is another track with the potential of being stuck in your head for days, just like the songs “Stuck” or “Love”. “Machine” has a rock vibe, combined with Reynolds powerful vocals it is a classic Imagine Dragons song. As you move on from song to song, it feels like a journey, traveling from one genre to another. This seems kind of chaotic, but from time to time also exciting, because you never know what the next song holds. The biggest surprises on Origins are the tracks “West Coast” and “Digital”. “West Coast” is totally different from all the other songs and reminds me a little bit of Mumford & Sons while “Digital” surprises the listener with some Dubstep elements. The lyrics of the album are quite deep and honest. In “Bullet In A Gun” Reynolds sings about the fears of a man suffering from bipolar disorder, while he talks about having a very difficult last year in “Bad Liar”. The last couple of songs from Origins are really calm but while they are decent songs, they are just not that memorable. Even though there are some surprising sounds on Origins, Imagine Dragons still follow a safe path with it. All in all, the album is pretty similar to the previous records of the band. It is a good album, but it feels kind of rushed. Imagine Dragons should really take their time with the next record.